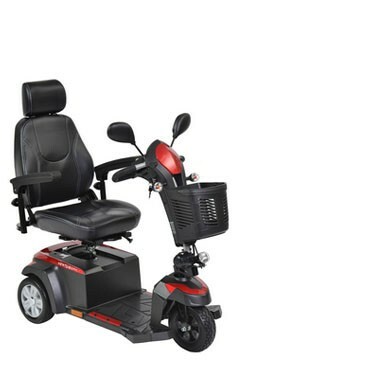 The Drive Medical 3 wheel Ventura DLX scooter offers a great combination of performance, size, comfort and styling, making it the perfect mobility option if you're looking for the —next step up" from a compact/transportable scooter which includes a 400 lb. weight capacity. Floor to Seat Height: 20.5" - 23.5"
Front Wheel: 10.00" x 3.00"
Rear Wheels: 10.00" x 3.00"